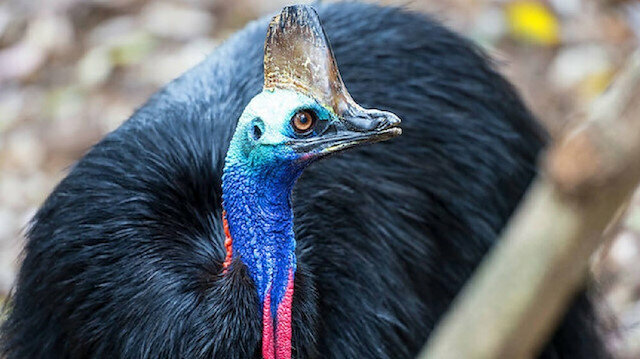 A cassowary, considered to be the world’s most dangerous bird, attacked and killed its elderly owner in Florida, U.S., according to officials. 75-year-old Marvin Hajos was transported to a hospital near his Gainesville home after he made a 911 call to the police on Friday. It appears the man fell, and the cassowary attacked him after the fall, Alachua County Deputy Fire Chief Jeff Taylor said. The flightless cassowary, with long claws on each foot, can grow to a height of 2 meters and weigh approximately 60 kilograms, and is listed as Class II Wildlife. Alligators, honey badgers and cloud leopards go in the same category as the cassowary, it being only second to tigers and lions. Officials have ruled the death as accidental. “The cassowary can slice open any predator or potential threat with a single swift kick. Powerful legs help the cassowary run up to 31 miles per hour (50km/h) through the dense forest underbrush,” according to the San Diego Zoo website.